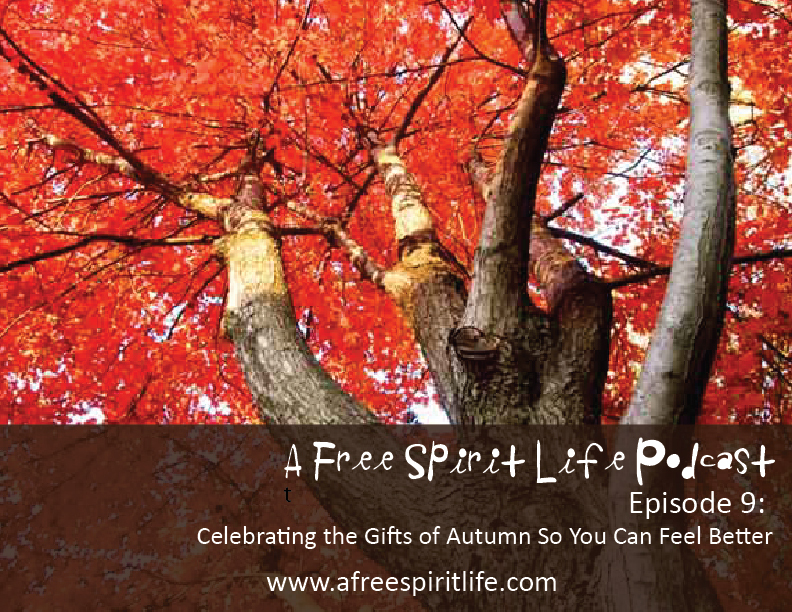 In today’s show, I share 5 ways you can make autumn a sacred experience and how you can use these suggestions to feel better this time of year. Now is a wonderful time to slow down, embrace the changes happening, to be seen and to be bold. Have you been feeling like you’re racing through your day? Are you overbooked? Are you longing for peace, inner balance and harmony? As you are in this place of transition, you can practice embracing and celebrating the change, rather than fight, ignore or resist it. Everything is temporary. Change can come knocking on your door every day. We wake up, we look in the mirror and we look different. We see another wrinkle, another gray hair. We can choose to celebrate this! You can learn to invite and welcome change so that you walk through life feeling more open to the possibilities that will help you change and grow. It’s an exciting and beautiful time of year, and a wonderful time to let your beautiful colors shine, too. We’ll explore all of this in today’s show. Are you a member of our A Free Spirit Life community on Facebook? Join our group HERE, (it’s free) we’d love to have you!